Since Doctor Who returned to our screens in 2005, we’ve been lucky to revisit a handful of Classic era monsters in amongst the new ones. Some more than others, obviously. And as much as I love a good Dalek or Cybermen story, there are others that I’d love to see back as well. Some of these on my list have, in fact, made modern series appearances (on the show) already, but I don’t care and I want them back again anyway. Some days it feels like The Sontaran Stratagem/The Poison Sky just happened yesterday, but it was actually seven years ago that we were reintroduced to the infamous potato-shaped warriors. Though they’ve made several smaller appearances since then, we’ve not had another real Sontaran story since that two-parter. We have, however, been lucky (I think) to gain Strax as a semi-regular character. I adore Madame Vastra’s Sontaran comrade/butler. I love that he’s funny and I love that he has grown to value Vastra, Jenny, and The Doctor (and even Clara) as comrades. So much so that he nearly sacrificed himself to save them in Deep Breath last year–a moment that I think is highly undervalued (and I really need to talk about). I also love that, even though Strax has maybe mellowed a bit and become something completely different to what we think of when we remember the Sontarans, he is still absolutely a Sontaran. Everything is for the glory of the Sontaran Empire. (Nearly) Every solution to a problem for him is violent and involves battle tactics. Even in his nursing duties, he tends to heal others so that he may one day destroy them in battle. Everything about him (and obviously the rest of his clone race) is superior to every other race he encounters, including his allies. Clearly his innate Sontaran-ness is not lost. 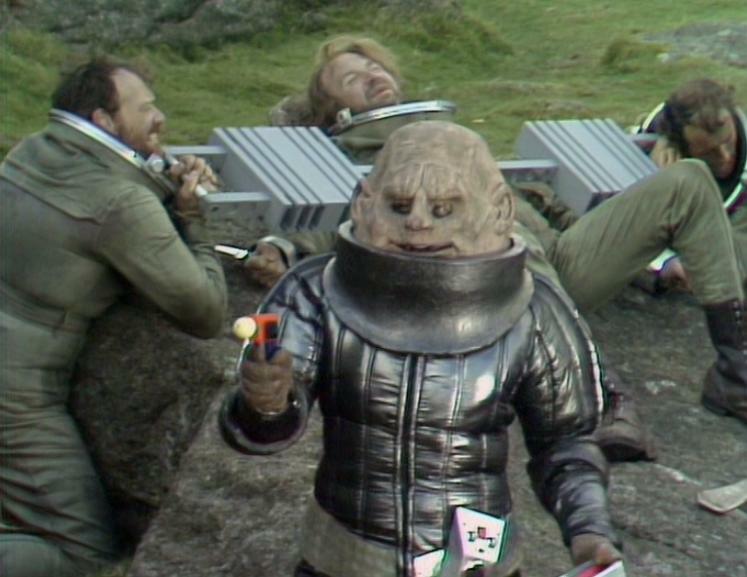 That said, it’s been a long time again since we’ve had a story where Sontarans were the chief threat. Something harking back to The Invasion of Time or The Time Warrior would be amazing, and I hope we get them back someday. Sontaran fans should check out the new Big Finish story, Terror of the Sontarans. Not seen on television since The Horror of Fang Rock, the Rutans are still a relative mystery to us. 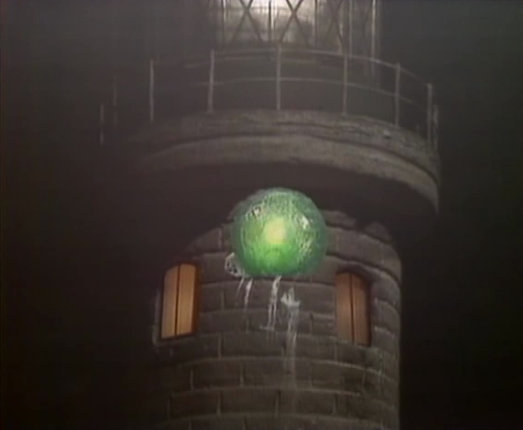 We know that they’ve been locked in an endless war with the Sontarans for thousands of years, we know that they look like giant green glowing jellyfish, and we know that they’re shapeshifters. It’s no wonder that the Sontarans have issues with Time Lords, given that they too can change their appearance. Though they’ve made multiple appearances in games, novels, and audio, I’d really like to see them return to television and maybe tell us the story of their battle with the Sontarans. I think they’re creepy and mysterious and deserve another look. I’ve recently been informed that I’m the only person that enjoyed The Web Planet. Obviously that’s not true because Peter Capaldi himself has claimed it as a personal favorite. Okay, so maybe it’s just us two. Whatever. As far as we know, it really has been several regenerations since the Doctor visited Vortis (having last visited it as the Fifth Doctor along with Nyssa in Return to the Web Planet), and I’d be interested to see what the new series would make of it. 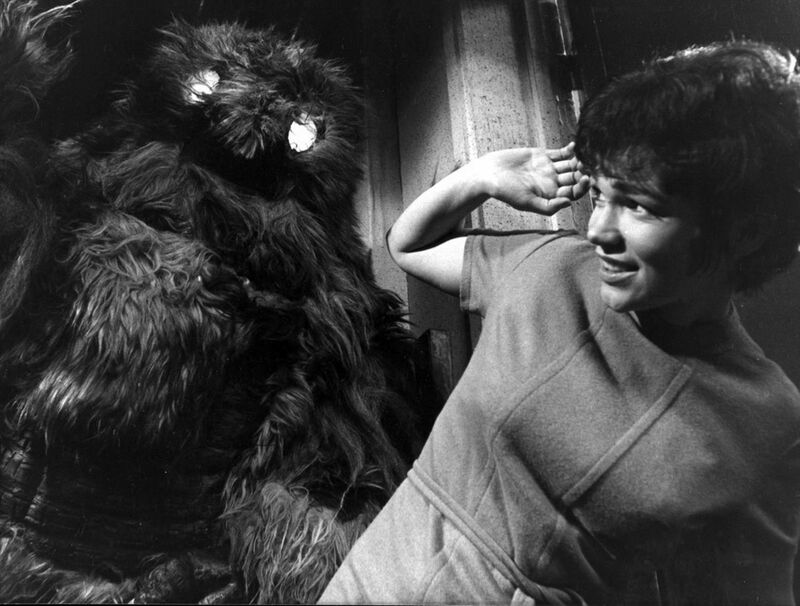 I loved the set design in The Web Planet and the way it was described to have evolved in the subsequent stories. I’d really love to actually see it again. I think the Menoptera could be made beautifully now (and to be really honest, I thought there was something eerily beautiful about the originals) as long as they stayed true to the original concept. Yes, I do realize that we’ve revisited the Great Intelligence a few times recently, and that’s great. As a concept, I think the G.I. works incredibly well and there hasn’t been a story yet that I haven’t enjoyed. The Snowmen were wonderful as both a call-back and a prequel to 1967’s The Abominable Snowmen. I also loved the look of the Whisper Men in The Name of the Doctor because the surprisingly elegant simplicity of their look would’ve fit even back in the Classic Era. And any time Richard E. Grant is involved, I am a very happy bunny. None of these, though, compare to the brilliance of the Robot Yeti. The originals in The Abominable Snowmen looked like enormous teddy bears that you just wanted to cuddle–up to the point where they actually turned out to be quite lethal. And then the newer version that trundled through London in The Web of Fear looked much more alien with their glowing eyes and web guns, yet I still find them to be very endearing. They were made even better, of course, by the large metal spheres that floated out of their chest cavities and made that fantastic noise. The Yeti is based deep in real-world mythology and that makes them that much more wonderful for me. 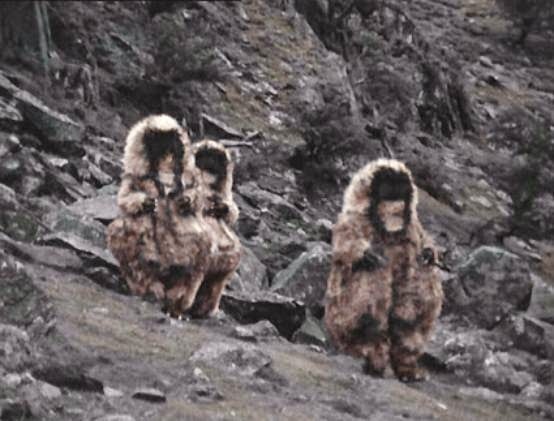 I know the Great Intelligence is supposedly destroyed*, but if we ever get it back, I’d love to see at least a legit Yeti reference. 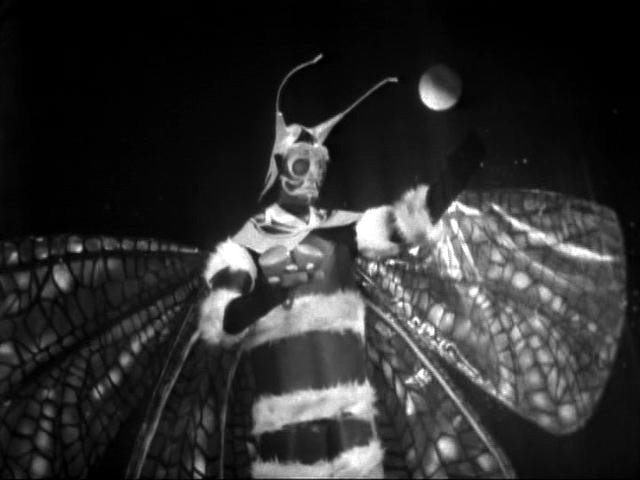 They remain one of my favorite Doctor Who monsters of all time. Yes, okay, again, we have had the Ice Warriors back very recently. I nearly cried when Grand Marshall Skaldak made his appearance on the show after nearly 40 Martian-less years. I was so worried that, in re-designing these creatures, they would lose something of what they used to be, but they lost nothing at all. While it was strange to see what it looked like beneath the helmet, I felt that the armor did justice to the original design in a rather beautiful way. I’d love to get them back on screen and have a real Ice Warrior-centric story now. What do you get when you combine Frankenstein and Doctor Who? No, not the 1996 TV movie regeneration scene. The correct answer is Morbius, obviously. What a wonderfully grotesque story. The tale goes just as you’d expect. Time Lord loses body, Time Lord gets Scientist to build him a new one, Scientist collects makeshift body parts, stuff happens and the resulting Creature goes berserk. What more could you want? The whole thing takes place on Karn and features the Sisterhood of Karn, which we now know will later become all kinds of important when the Eighth Doctor regenerates–thus making the Frankenstein connection more important, maybe? No? Okay, fine. Morbius was one of the greatest looking inventions of the Hinchcliffe era. I don’t think words can do him justice, but I will say that even though he went over the cliff at the end, that doesn’t mean he’s dead. Anyone who has watched Doctor Who for any length of time has to accept that, to some degree, death is always negotiable on this show. Especially when you start playing around with timelines. Though he was only on the show the one time, he has cropped up in novels, games, and audios. I enjoyed Morbius as a character and as a monster and if we could revisit him in some way, that would be amazing. Are you a Morbius fan? 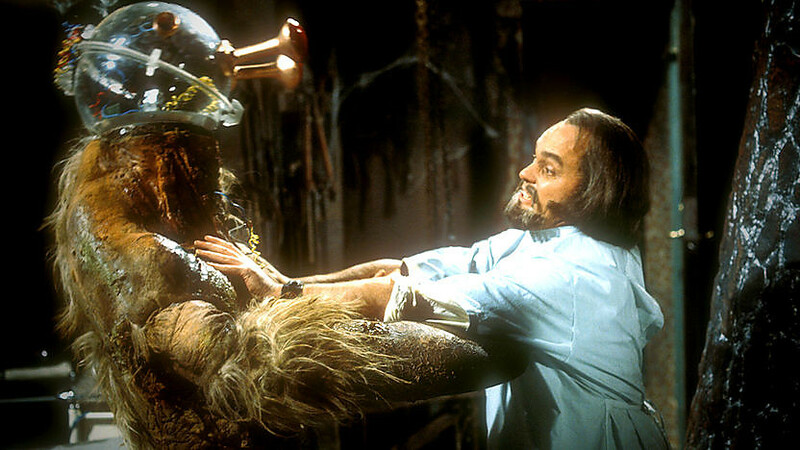 Check out The Vengeance of Morbius from Big Finish. Can you believe it’s already been ten years since Doctor Who came back? When I think about Rose, the first thing that always comes to mind is that I believe Russell T. Davies made exactly the right decision in using the Autons to start off the series. Back in 1970, when Jon Pertwee began his reign as the Third Doctor, the format changed dramatically, and the monsters that took us into that new age were the Autons. Taking something completely normal and every day and making it terrifying. What could be more commonplace than a shop window dummy? This is not unlike what Steven Moffat did later by making us terrified of statues. What I loved about the use of the plastic villains in 2005 was that the design was so similar to what it was in 1970. They didn’t have to change much at all. And before you say anything, yes, I am choosing to ignore what they looked like in 1971’s Terror of the Autons. Because reasons. 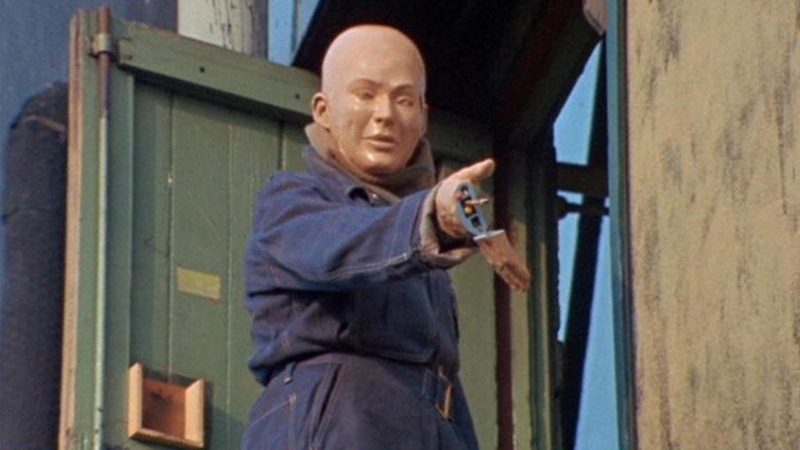 I’m also not really counting the Nestene duplicates of Series 5 because while I can appreciate what they are and do, I just so loved the look of the plastic dummies that I want them back. Even though I will admit that Nestene!Rory was a prequel to the awesome badass he became later. The good news for my fellow Auton fans out there, is that this coming November, Big Finish is releasing a series of adventures featuring UNIT with Kate Stewart (and Osgood!) at the helm. The first box set is entitled UNIT: Extinction and will feature UNIT facing an invasion by the Nestene Consciousness and an army of Autons. Hell yes, I’ve already pre-ordered that! I sort of hated The Pyramids of Mars the first time I ever watched it and didn’t even finish it. I’m not entirely sure what I didn’t like about it, other than that I thought it moved too slow. We all make mistakes, let’s move on. Since that skewed first partial viewing, I’ve seen it multiple times and now it’s actually one of my very favorite Fourth Doctor stories. I adored Ancient Egypt when I was a kid, so that’s a definite plus in its favor. I felt like I was seven years old again and it was amazing. I love when the show can still make me feel like that, and with such a rich story, I know that Sutekh could easily do the same thing for newer Who fans. Sutekh fans should check out The Triumph of Sutekh, a Bernice Summerfield Adventure from Big Finish. We haven’t seen Omega onscreen since 1983’s Arc of Infinity, where he was banished back to his universe of antimatter after escaping to Earth for a time with the aid of a Time Lord–and getting The Doctor sort of executed in the process. Not my favorite story, however. Mostly because I think they ruined what Omega originally was. But maybe that’s just me. I think Omega’s story is a bit tragic. As we learn in The Three Doctors, Omega was once celebrated as a hero on Gallifrey because of his contribution and sacrifice in enabling the Time Lords to harness the power to time travel. They thought he’d been killed in his efforts, when he had, in fact, been trapped inside a black hole in a universe created of antimatter. He only existed through his own will, and eventually used it to trap The Doctor and his UNIT friends during his exile on Earth (and sent the Gel Guards, that are literally my earliest memory of Doctor Who ever). The tragic story, the theatrical demeanor, and the universe of antimatter at his fingertips (glove tips?) made Omega a fantastic villain with endless possibilities and I would absolutely love to see him again. 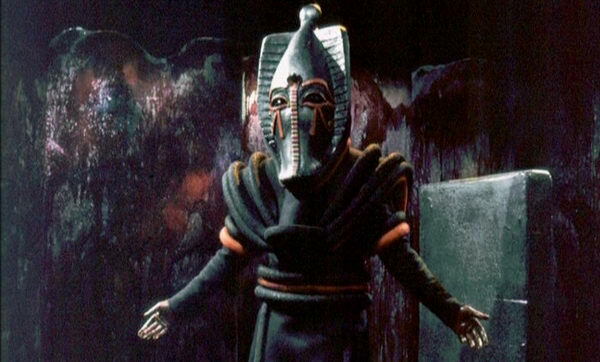 I also think his original mask is one of the greatest designs in Doctor Who history. Shut up, it totally is. If you like Omega, check out Big Finish stories Omega from the Doctor Who Main Range and Intervention Earth from the Gallifrey series. He looks ridiculously awesome on the Intervention Earth cover. Cue the groaning, I know. I’ve been railing on about this for ages, but especially since the Silurians made their return in 2010. 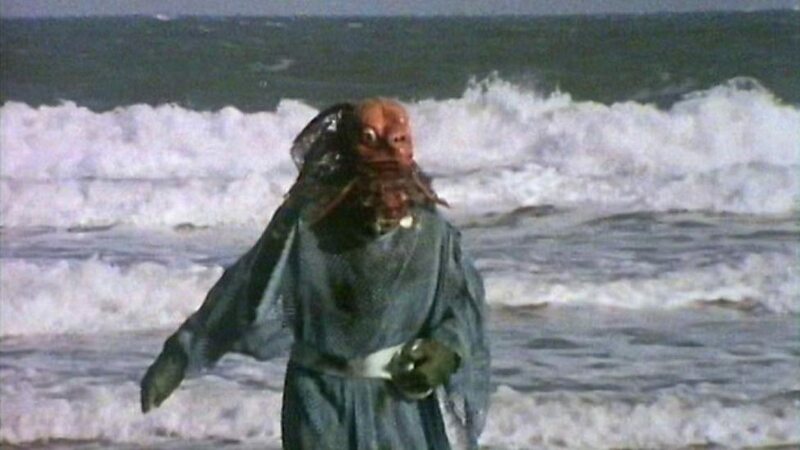 The Sea Devils are quite possibly my all-time favorite Doctor Who monster. 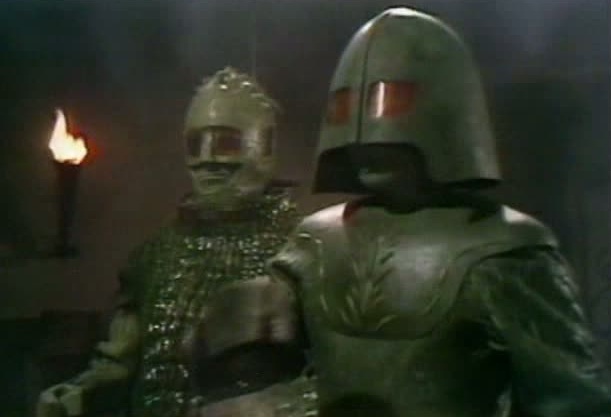 Though they’re portrayed as basically a subservient warrior class to the Silurians in 1984’s Warriors of the Deep, their origin story portrays them as a strong race all on their own, causing several disappearances of ships near a naval base (and also the island prison where the Master is currently being held–funny, that.). The resemblance to their Silurian cousins is unmistakable, though with some notable distinctions. Their height was intimidating. 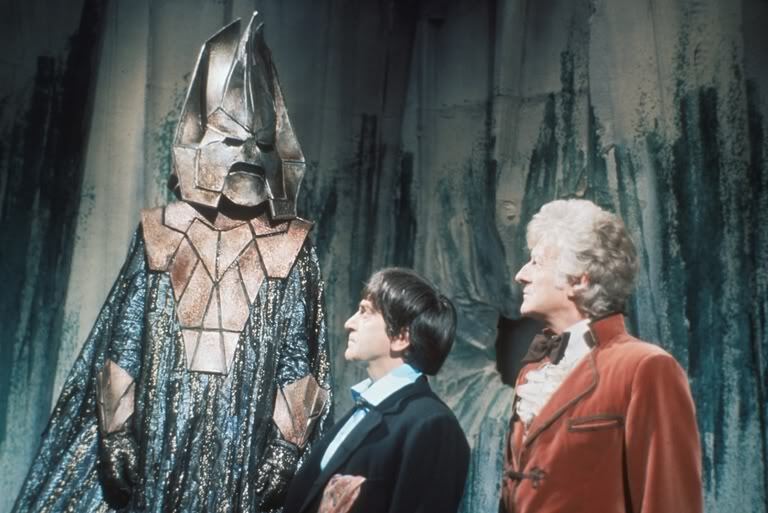 They stood nearly a head taller than Jon Pertwee, who himself stood a good 6’ 2”. While still looking reptilian, their features are more suited to an aquatic environment where they would presumably be able to swim quite quickly. The iconic scene where they come out of the water to pursue The Doctor and Jo on the beach–before wandering into a minefield–actually makes them scary to me. They may be at a very slight disadvantage on land, but if you met one in the water, you’d be screwed. Supposing they’d stay true the same original concept, I’d be very interested to see these guys get an update. If there are still colonies of Silurians hibernating all over the planet, then presumably the same would be true of Sea Devils. I also think, without any bias**, that Peter Capaldi is exactly the right Doctor to make this happen with. Get on that, Moffat. I did discover that in the 2013 Quick Reads novel, The Silurian Gift, a colony of Silurians and Sea Devils are discovered underneath the South Pole–Myrka included!! Not a bad quick read if you’re a fan of the Sea Devils. * Is the Great Intelligence really destroyed? Not that I want Clara’s sacrifice to have been in vain, because I love her. But I don’t believe for a moment that we won’t see the G.I. again.